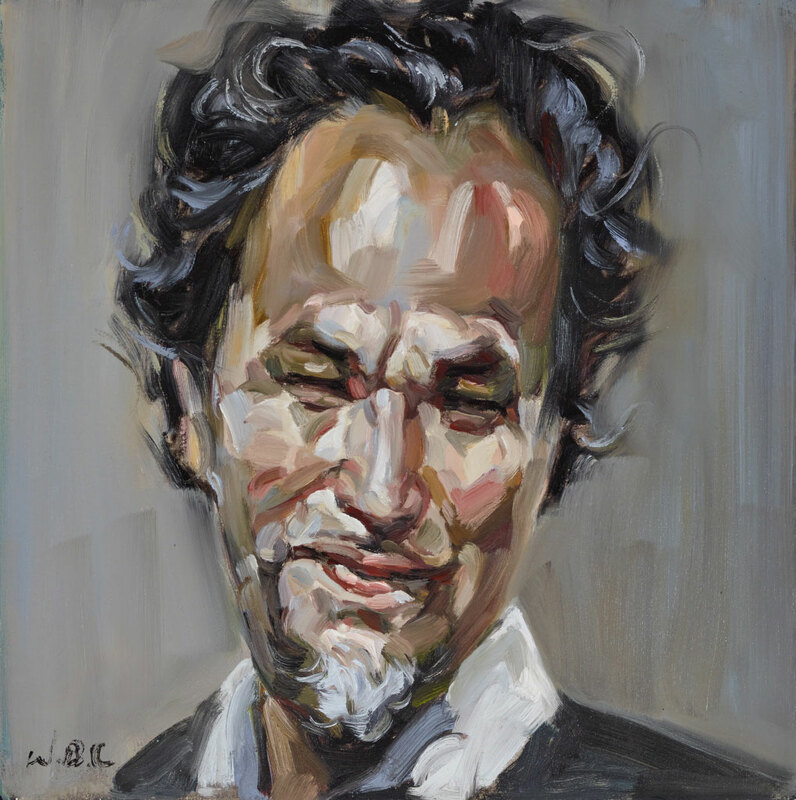 Wei Bin Chen, also known as Jeffrey, says that he used himself as the subject of his Archibald portrait for several reasons: his poor English, which limits his ability to communicate with potential sitters, the need for a deep understanding of the character of the sitter, and a belief that he is a contributor to the greater fine arts of Australian culture. ‘My depiction of myself is influenced by a recent serious back injury from which I have mostly recovered, leaving me with a new lease on life and feeling optimistic about the future,’ he says. Chen was born in China in 1964. His practice encompasses a broad spectrum of styles and mediums. He graduated from Guangzhou Academy of Fine Arts in 1987 and was a practising architect in China. He exhibited work in multiple group exhibitions across East Asia before immigrating to Australia in 1991. Since then, he has participated in numerous local competitions and shows including the NSW Parliament Plein Air Prize, Drummoyne Art Prize, Hornsby Art Prize and the Royal Easter Show, as well as group exhibitions at the Gaffa Gallery and Mary Place in 2014.